A Finnish family with one world champion in underwater rugby with a huge heart and curly hair, one world championship level ex-athlete with tons of different phobias and the bestest little traveller who asks a thousand questions each day. 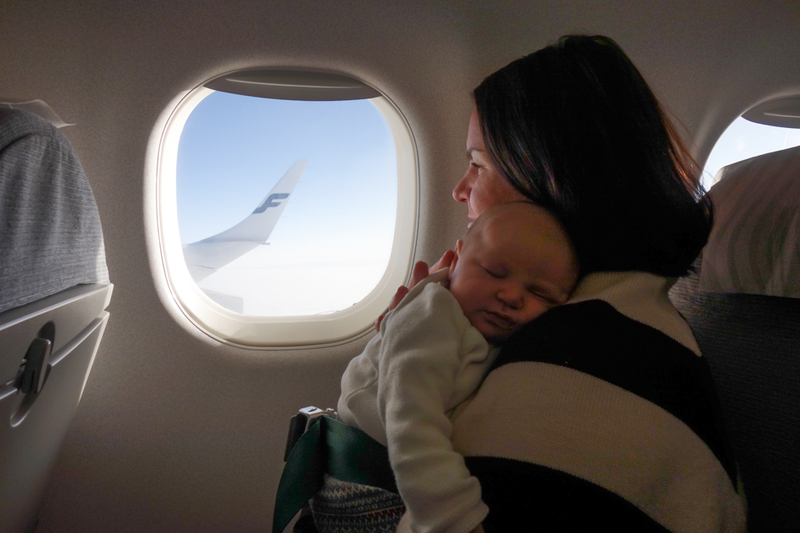 As the newest additon, in December 2017, another little brave traveller joined our team, and did the first trip at the mature age of 5 weeks. Our dream has never been building a fancy big house or owning things. We've always been more of an adventure seeking couple with their hearts in travel. That's how our story together began - we needed to travel all the way to Buenos Aires, Argentina to find each other. From there on we've had so many wonderful experiences together, not least getting married on Maui, Hawaii while the waves of the Pacific Ocean played their music and our toes felt the white and warm sand beneath our bare feet. 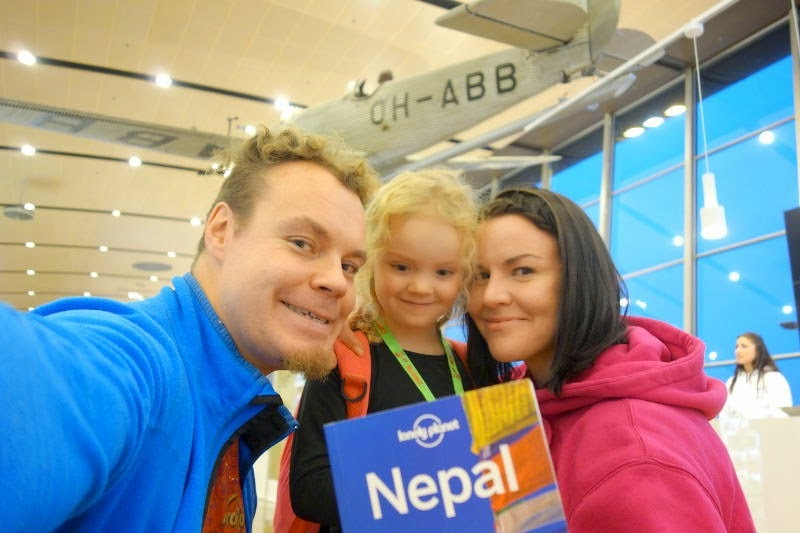 And then we brought the most adventurous little kiddo to this world, who's such a great sport and travel companion. 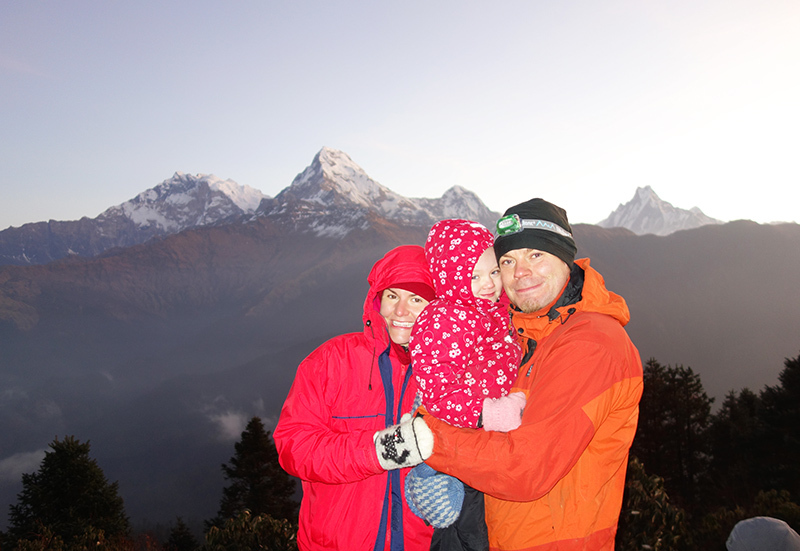 In November 2014 we started the journey of our dreams, traveling together for a year as a family, by heading to Nepal and trekking in the Himalayas. We had no route, and we decided where to go and for how long to stay while being on the road. It was awesome. 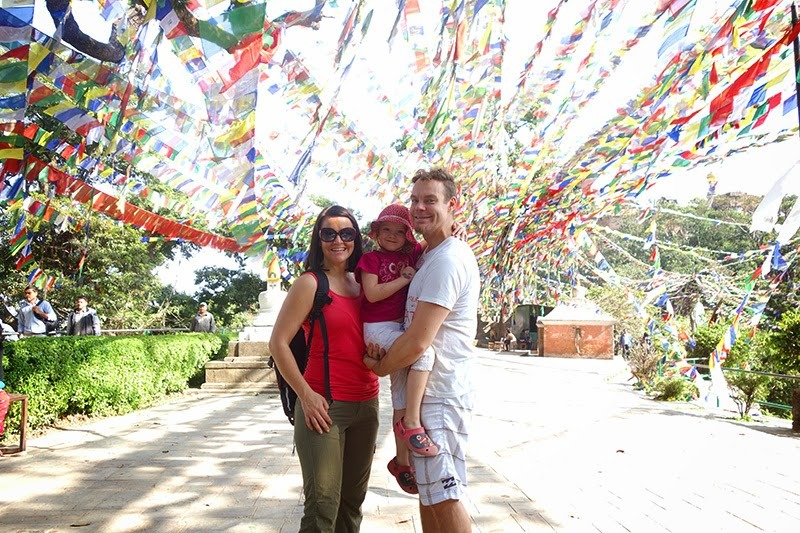 We returned home after one year exploring the world together with our first born, but didn't stop traveling. There's always new adventures ahead - with or without kids, as a couple or solo, or even with friends. Stay tuned here and follow us on Facebook and Instagram! Miika Härkönen, engineer, coder, Bachelor of computer science, loving water sports, especially diving, underwater rugby and free diving, a devoted father (really, the best! ), with a big warm heart, loves wines, never drinks beer (that's for the wife), and always ready to try out anything with an adrenaline kick. Gia Forsman-Härkönen, trying to act as a mother and grown-up but often failing, Master of Arts, working with communications, loves any kind of sports, mostly runs, does yoga and works out at the gym, interested in world politics and human rights, always in search of a great sunset, awesome food and wine, champagne or drinks to go with it. Has too many phobias she hopes life eventually will help to get rid of. Bella Härkönen, the cutest thing many have seen, not knowing that underneath the surface she might be the worlds strongest little girl, and does any kind of sports with great enthusiasm. Learned to snorkel at the age of two, beats her mother in courage any day, asks tons of question and needs to know everything. Bianca Härkönen is the newest addition to the team. She traveled by train being 10 days old and flew 5 weeks old. So far she is showing excellent signs of inheriting the travel and easygoing gene from her parents, just like her sister.